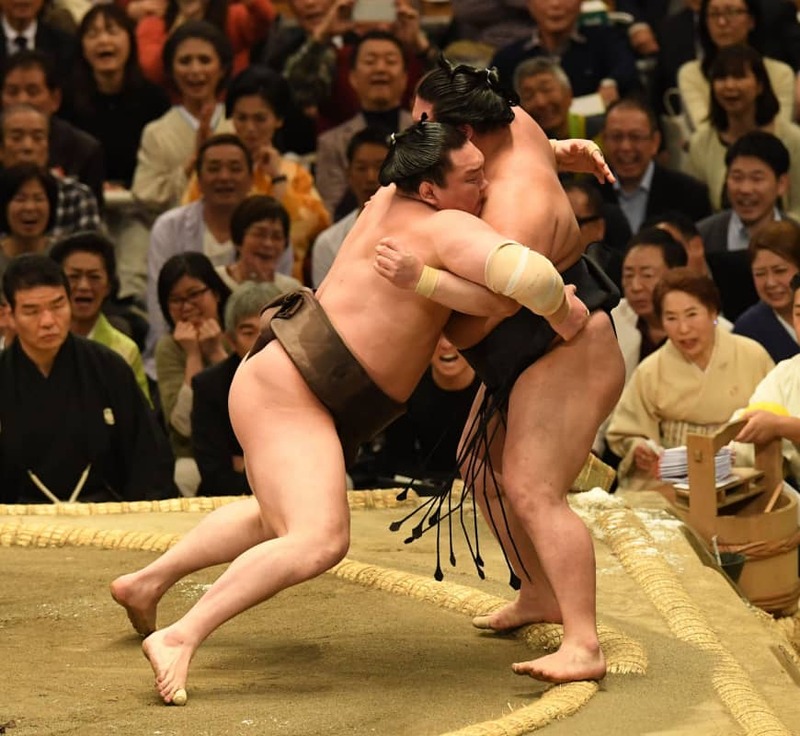 OSAKA - Yokozuna Hakuho inched toward a record-extending 42nd career championship with a win over ozeki Goeido on Friday, the 13th day of the Spring Grand Sumo Tournament. 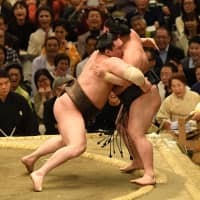 Goeido (10-3) tried to sidestep the charging yokozuna, and the fight momentarily devolved into a slapping and shoving contest. But as the ozeki came in close to try and set up a force-out, Hakuho grabbed two belt holds. The ozeki leapt backward to try to wrench himself free, but Hakuho pursued him to the straw and then forced him out. Former ozeki Kotoshogiku, currently wrestling at No. 8 maegashira, and No. 7 Aoiyama also suffered their third losses. Kotoshogiku carelessly walked into a trap, sprung when No. 11 Meisei (9-4) flung him down with a pulling overarm throw.